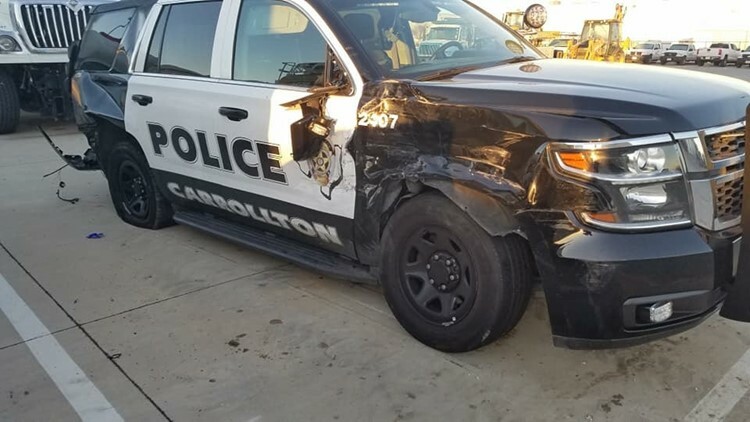 Carrollton police were "counting their blessings" after no officers were hurt when a drunk driver crashed into two squad cars at 70 mph. 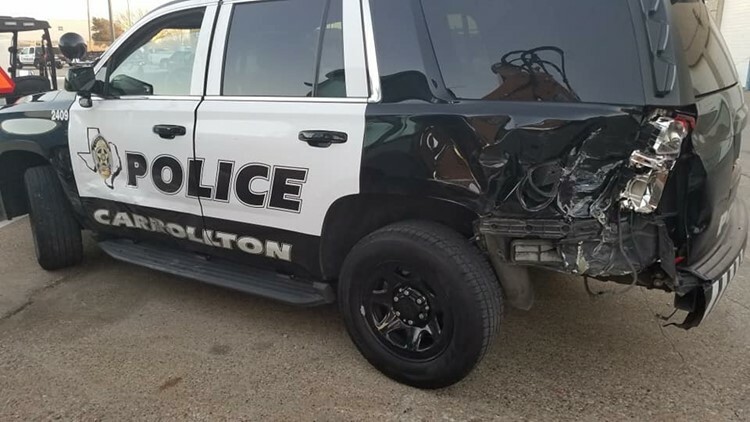 A now-fired Garland high school teacher faces a DWI charge after crashing into two Carrollton police squad cars over the weekend. Police said in a Facebook post that Wesley Tyree was driving drunk when his car slammed into the squad cars at 70 mph near Interstate 35 East near Crosby Lane in Carrollton, where officers were working a crash. 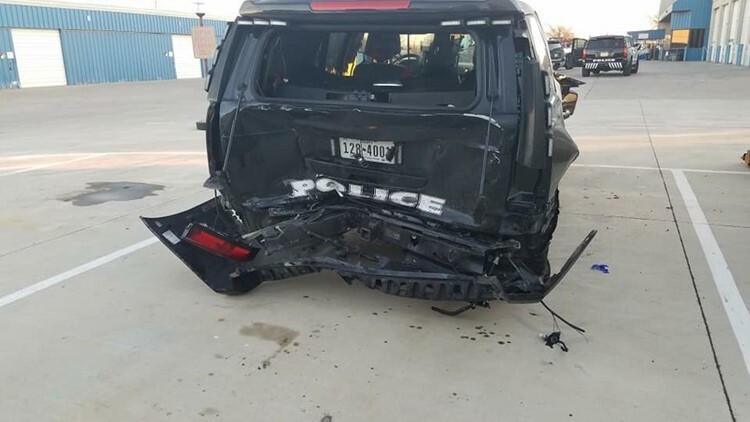 Carrollton policer were "counting their blessings" after no officers were injured in the crash, the Facebook post read. Tyree was treated, released, taken to jail and charged with DWI. Tyree, 30, was listed as a fine arts teacher at Garland ISD’s Lakeview Centennial High School. His name still appeared on the school’s faculty page Monday afternoon, but a district spokesperson told WFAA Tyree was “no longer employed” by Garland ISD.